When I say that these beans are easy, I am not kidding. And, when I say that they are actually healthy, I’m also not kidding. These “refried” beans never get fried and do not contain lard. This vegetarian side only contains five ingredients (if you include the water), and though it takes a while in the slow cooker, it’s so hands-off that you will have time to tend to other things, like filling up a . 1. 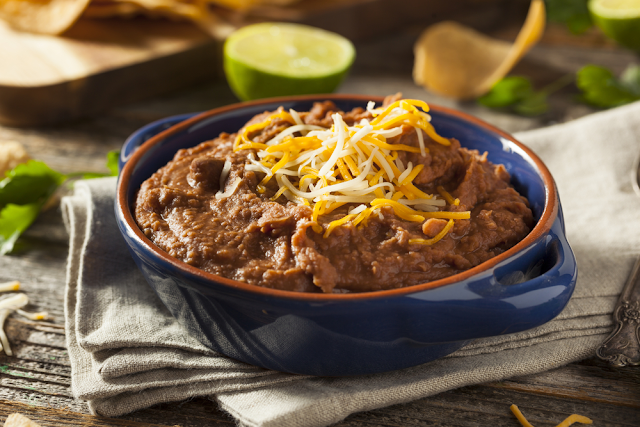 Place the pinto beans, onion, water, and salts in a 3-quart slow cooker. lid and stew on high heat for 4 hours. The beans should be tender. 2. Spoon the contents of the slow cooker, including any remaining cooking liquid, into the bowl of a food processor and process until smooth. Serve immediately. 3. The leftovers may be refrigerated in an airtight container for up to three days.